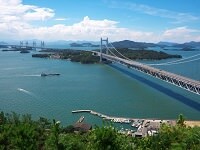 Shimanami Kaido, also known as Nishiseto Expressway, is a 37 mile toll road that connects Shikoku to mainland Honshu. 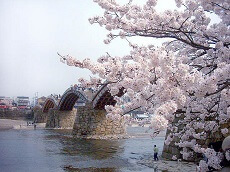 The road offers a splendid scenery route that can be accessed by pedestrians and cyclists as well. 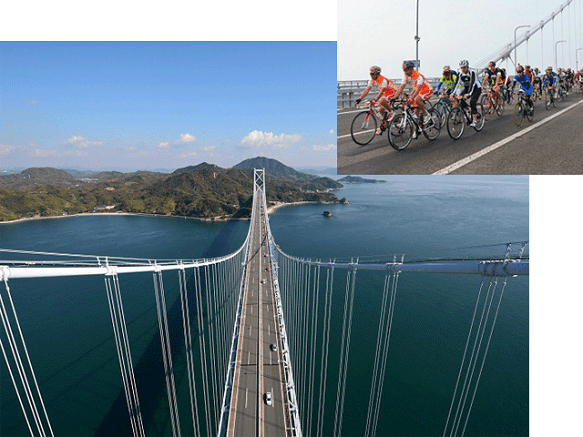 It is the only road of the three that connect Shikoku and Honshu that are open to pedestrians and cyclists. 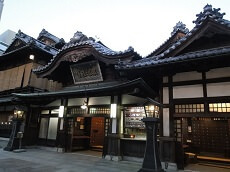 The separate paths for cyclists was actually built with bicycling in mind, resulting in just small inclines. The bike path is 10 km longer than the car route but can be traveled comfortably by bike. The Seto Inland Sea makes the long drive a pleasant one.